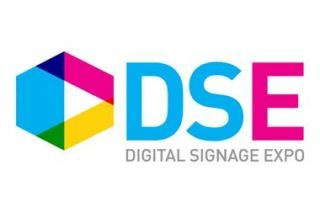 DSE 2017 to Present "Learn From Our Mistakes"
This panel, to be moderated by Margot Myers, Director of Global Marketing and Communications for The Platt Retail Institute, will feature Michael Dwyer, Senior Marketing Manager of Digital for Subway; Janna Rider, Director of Digital Merchandising for Dairy Queen; and Henry Mowat, Chief Operating Officer for Coates. To be presented Thursday, March 30, at 11 a.m., this session will discuss the variety of possible pitfalls involved in rolling out or managing a digital signage solution in the restaurant space. Attendees will learn what panelists would have done differently, what made for an exceptional execution and how some of the most common mistakes could have been avoided. Registration for DSE’s Wednesday Restaurant sector session “Learn from Our Mistakes So You Don’t Make Them Too,” or any of the DSE 2017 educational conference seminars, which are sponsored by BroadSign International and are eligible for Digital Signage Expert Group (DSEG) certification renewal credits, is available online at www.dse2017.com.